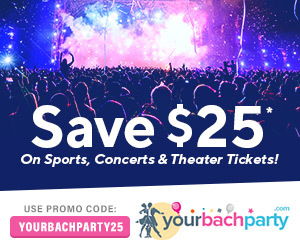 Looking for a unique, fun, easy idea for a bachelorette party? Then consider a mimosa bar bachelorette party. A mimosa bar goes beyond your basic pitcher of pre-made breakfast or brunch beverages and lets your guests perfect their morning cocktail. The result is, well, actually the results is unpredictable, just like your guests. In fact, if you get creative enough with your mimosa bar, these drinks are perfect well beyond the brunch hour. You may have some mimosa traditionalists and you may have friends that end up with a drink that is more mimosa-ish than true mimosa! 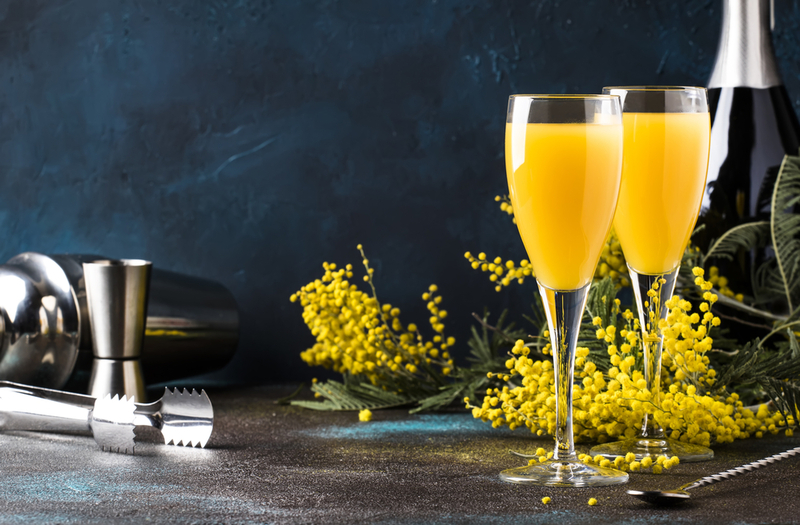 Whether your mimosa bar is a stand-alone feature or part of an epic brunch spread, it is sure to be a hit with all of the guests at your bachelorette party. Setting up the ultimate DIY mimosa bar starts with picking the perfect table and that starts with table shape. In some circumstances, you may not have much of a choice. 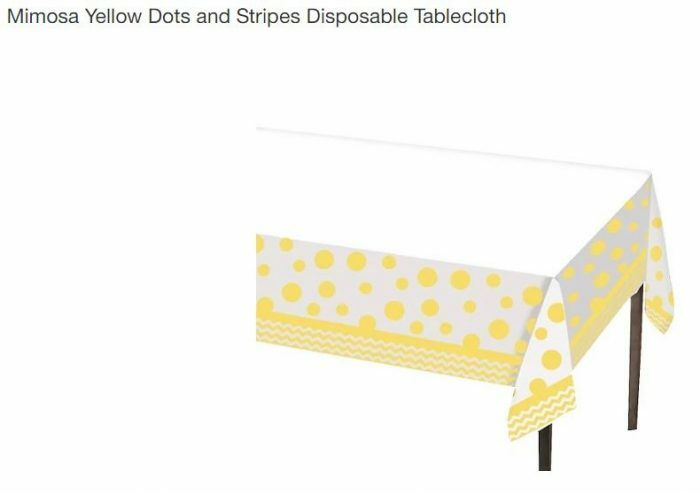 For example, if you are hosting a bachelorette brunch in a small space, you may have to go with whatever table is there. Likewise, you may only have access to certain folding tables. However, if you have your pick of tables, you actually want to put a little thought into the table you choose, in the context of the space you have available. For buffet options, most people go with the typical rectangular serving table. 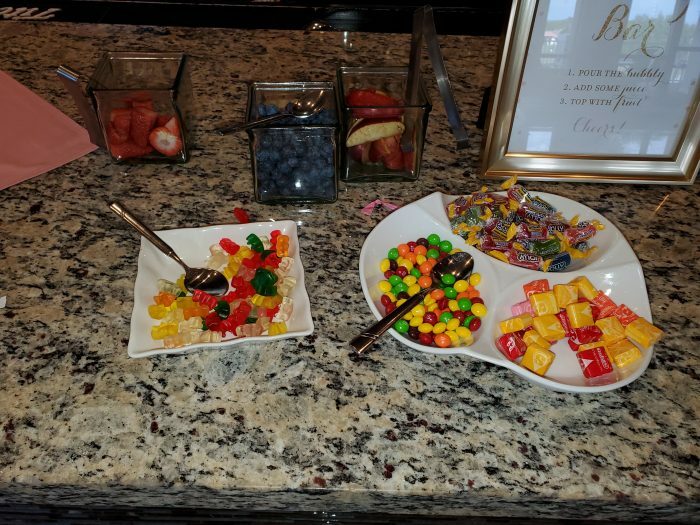 However, we like a round table for a drink buffet, because it has a less-rigid structure and encourages people to look at all of their options before building their drinks. It might seem like a small detail, but those small details can really make your mimosa bar something special! 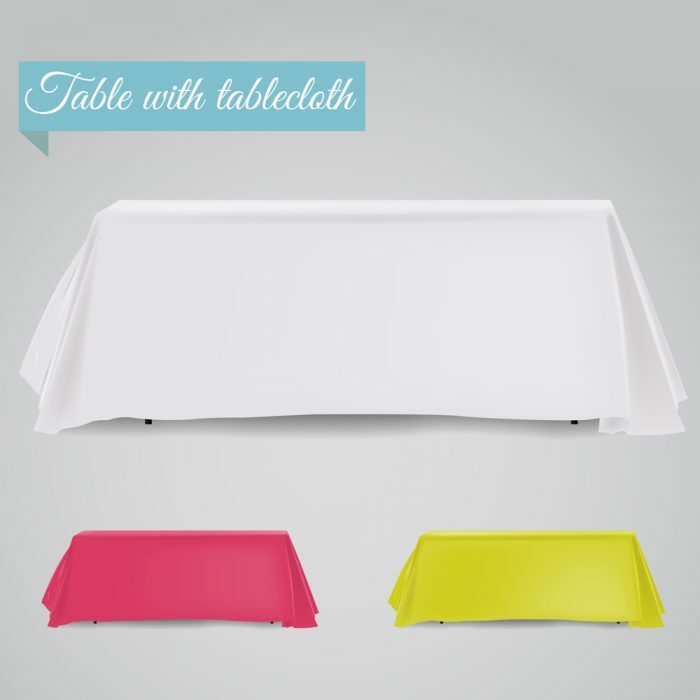 Once you have picked the table shape you want, you want to cover it in something festive. We like to think of mimosa colors or colors that go with the mimosa theme. Think of mimosa yellows and pretty pastel blues. Of course, if a mimosa bar is a big part of your bachelorette party, then you want to have the perfect glasses. Mimosas are traditionally served in a champagne flute. You can choose a traditional stemmed flute for a classic look, or go for a stemless glass for a more modern approach and greater stability. You may already have a set of champagne flutes. For a smaller party, there is no reason not to use flutes you already have. However, if you are having a larger party or want the option for guests to have more than one drink, you may want more flutes than you have in stock. Looking to be kinder to the environment and have a classic champagne flute approach? Many dollar stores offer champagne flutes for $1 or less each. You can also order simple flutes in bulk on Amazon. Part of the appeal of a mimosa bar is that it is fancy, while still being whimsical. This combination of whimsy and fancy adds in the possibility for some really fun decorations. 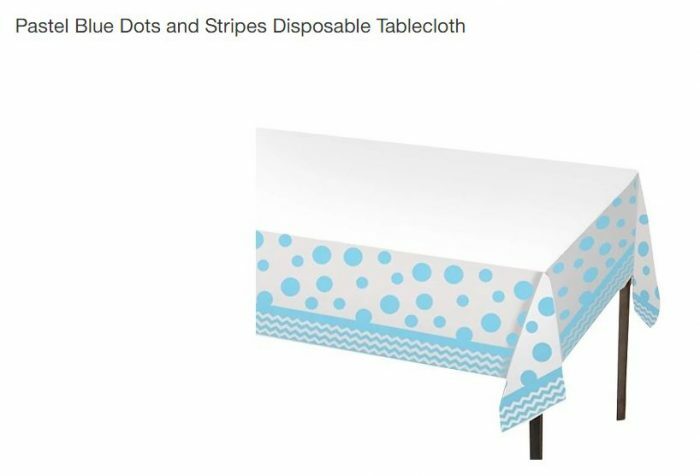 So, take the opportunity to dress up your table and make it look extra special. 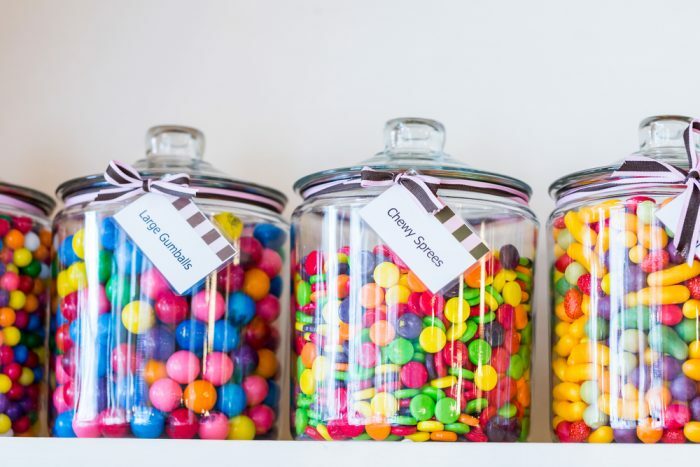 Consider decorating with signs, banners, tags on your juices and candy bowls, and plenty of bowls and dishes for your add-ons. 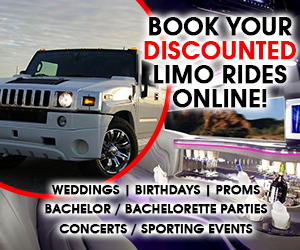 You will probably have a variety of colorful juices, sparkling wines, bright garnishes, and other drink decorations. Keep them in mind when planning the décor for your table, so that you are working with your ingredients and using them to create a great visual display. A basic mimosa starts with a simple recipe: one-part citrus juice and one-part sparkling wine. Traditionally, you combine orange juice and champagne. However, just about any sparkling wine works well in a mimosa and opening up your options not only brings mimosa bars within any budget, but also offers a greater variety for your drink choices. You may think of any sparkling white wine as a champagne. However, champagne actually refers to a sparkling white wine from a specific region of France. Champagnes tend to be more expensive because they are imported, but not all champagnes come with the same price tag. Perrier Joet may not be as well-known as some other champagne brands, but it is a well-respected champagne that has been in production since 1811. Expect to spend from $50 to $150 per bottle. Vueve Clicquot starts at around $40 a bottle and is another solid choice for champagnes. They even offer a rose champagne variety for something different for your mimosa bar. Dom Perignon is probably the best-known of all champagne brands and it has become a symbol of classic elegance. However, given that Dom Perignon starts at around $150 per bottle and goes up from there, it is a very expensive option for mixed drinks like mimosas. If you have the budget to go really big, then maybe Dom is an option for your mimosa bar. However, if your bank account belongs to a mere mortal, we say skip the expensive champagne, but maybe splurge on a single bottle for a special toast. Not all champagne is extremely expensive. Moet is a well-known champagne brand, but its more affordable options start at around $12 per bottle for non-vintage years. 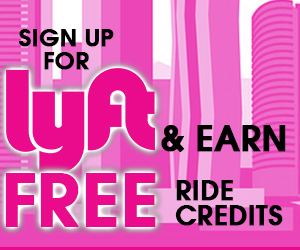 This means you can have champagne at your mimosa bar without breaking the bank. 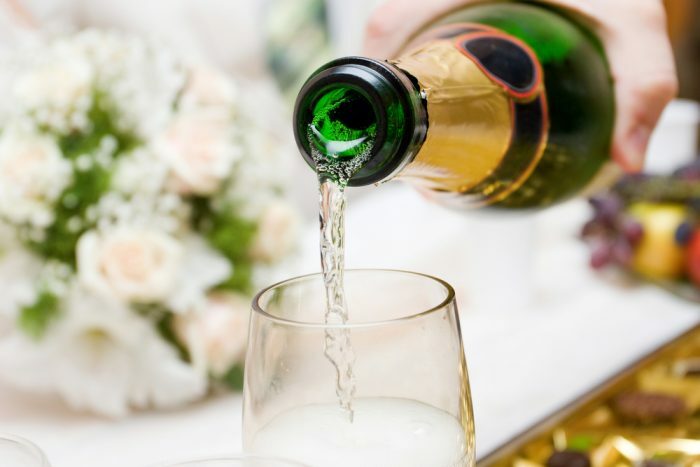 However, if you want to get a better value for your mimosa bar, then you may want to consider pouring sparkling wines instead of champagne for your drinks. Sparkling wine refers to any wine with significant levels of carbon dioxide in it. Champagne is a type of sparkling wine, so you can accurately say that all champagne is sparkling wine, but you cannot say that all sparkling wines are champagnes. However, the term champagne refers to sparkling wines produced in the Champagne region of France. While that convention is followed in the United States, it is taken very seriously in Europe where it is illegal to label sparkling wines produced in other countries as champagne. In addition, champagne must be made using one of three types of wines: Chardonnay, Pinot Meunier, or Pinot Noir. Because sparkling wine does not have to be grown in a particular region, it can be a much more affordable option for your mimosa bar. Prosecco, a sparkling wine from a region in Italy, is a popular sparkling wine option and the go-to choice for the Bellini, another favorite brunch beverage. Some people even prefer Prosecco in their mimosas, and, given that you can get a bottle of Prosecco starting around $7 each, it is a very reasonable option. However, if you want a mimosa taste, we suggest going with a sparkling wine. It is a very cost-effective option that can give you the taste of a champagne without the cost. At about $15 per bottle, Korbel is a fantastic option for your mimosa bar. It is considered a California champagne and mixes well in cocktails. 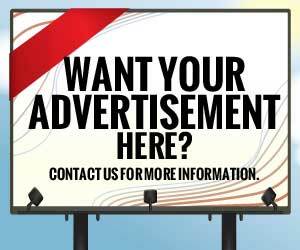 It is also reliably available just about anywhere. You may remember the iconic commercials for Martini and Rossi sparkling wine from Italy. It also comes in a Rose variety if you want a bit of a milder flavor for your cocktail. La Marca is another popular sparkling wine. This sparkling wine is from the Prosecco region of Italy. It is an extremely affordable option; you can get a non-vintage bottle for around $7. The bonus is that if you stock La Marca, you will be fully stocked for bellinis as well. Traditionally, a mimosa is some type of citrus juice with champagne, and a classic mimosa is usually orange juice. However, the point of having a mimosa bar is giving your guests options, so do not feel like you have to stick with orange juice or even with citrus juices. Some great options to include in your mimosa bar include: orange juice, pomegranate juice, lemonade, raspberry lemonade, strawberry lemonade, pineapple juice, mango juice, pear juice, papaya juice, peach juice or nectar, grapefruit juice, cranberry juice, and apple cider. You may also want to include some non-candy sweetness. 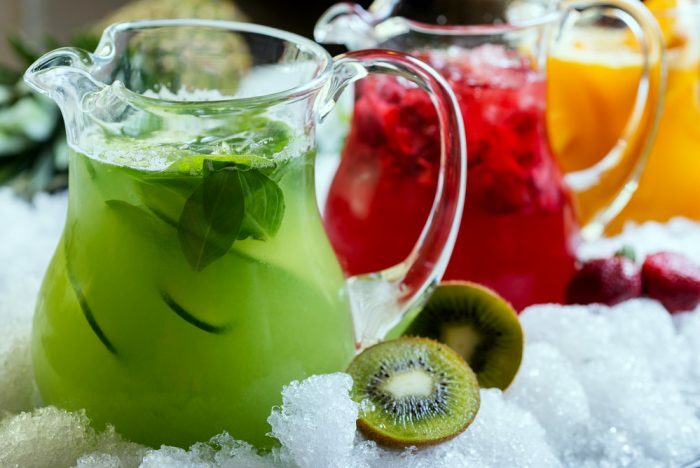 Think of sugar or salt to dust the outside of your drink, cinnamon, or other classics to rim your glasses and add to the flavor of your drinks, sugar cubes, and ice cream, sorbets or sherbets to add a bit of creaminess and coldness. Fruit garnishes have been used to add a dash of color and flavor to mimosas. You are probably used to seeing a think orange slice as the garnish on your brunch mimosas, but you can use a variety of fruits to add flavor, texture, and color to your mimosa bar. Orange slices, lemon wedges, lime wedges, strawberries, raspberries, blueberries, maraschino cherries, apple slices, and pineapple are great garnishes. You also want to include some fresh mint, and, the more adventurous among you may want to include fresh basil and fresh rosemary, as well. 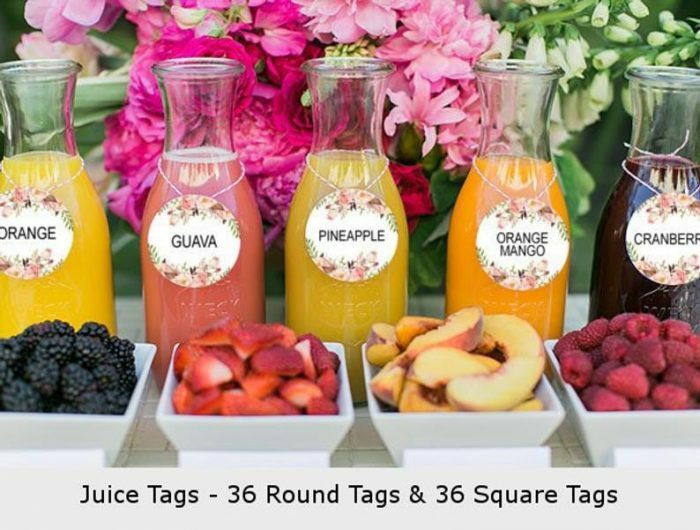 While the whole idea of the mimosa bar is to give your guests a variety of choices to build their own mimosas, we love the idea of including some recipe cards with mimosa recipes as decorations for your mimosa bar and to serve as inspiration for your guests, encouraging them to think outside of the box. Put a generous scoop of peach sorbet in your glass, splash with Grand Marnier, fill the flute with Prosecco, and add in some raspberries. Rim your glass with a combination of cinnamon and sugar. Fill glass ¼ full with apple cider, then fill with sparkling wine. Garnish with an apple slice. Rim glass with salt, fill glass with two parts grapefruit juice, 1 part tequila, 1 part sparkling wine, and a splash of lime juice. Garnish with an orange slice. Pour 2 parts pineapple juice, 1 part rum, and three parts sparkling wine in your champagne flute. Drop some maraschino cherries in for flavor and garnish with a pineapple wedge. Sand the edge of your glass. Muddle three strawberries in your glass, splash with orange juice, pour rose sparkling water over them and stir. Roll the fourth strawberry in sanding sugar and use it as your garnish. 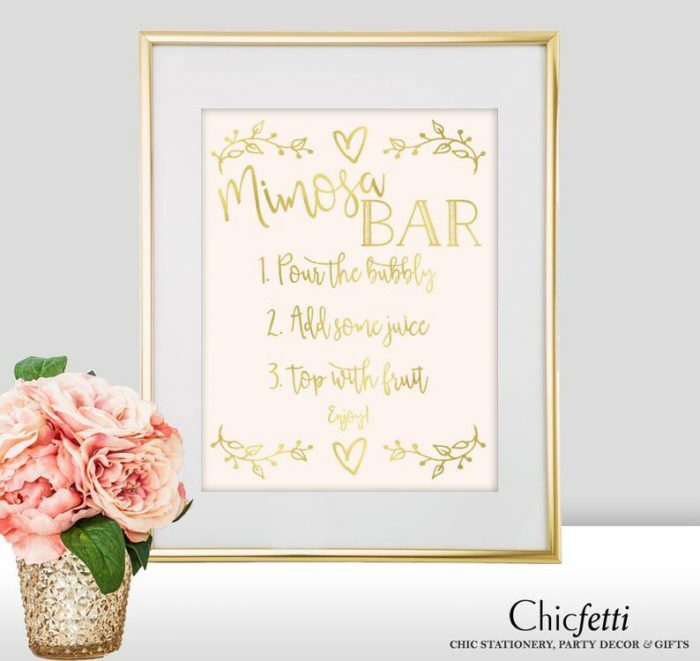 Having a DIY Mimosa Bar Bachelorette Party is a great option, because it gives your guests plenty of variety, while freeing you from any bartending responsibilities. You can go very extravagant and have almost a full bar for your guests, or you can stick to the basics. The versatility of a mimosa bar is one reason that it is such a great option for bachelorette parties. 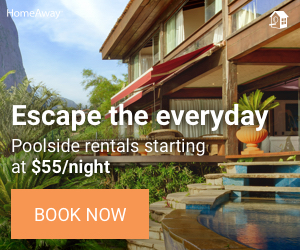 It not only fits almost any budget, but can also be tweaked to fit almost any theme. While mimosas may generally be thought of as a brunch drink, when you open up the possibilities, you see that these cocktails can actually be perfect refreshments at any time of day!